Because getting your finances in order makes life a little less stressful. Credit cards can be either a blessing or a curse depending on how you use them. You have to make sure that you have the financial stability for one and that your interest rate won’t come back to bite you later when you choose to use your card. And when it comes to finding the right card for you, these are some of the most important factors to make sure you’re happy with your choice. Your credit score can easily determine what kind of card you can get and may even influence other variables of the card itself. So if you’re looking for the best credit card for your credit score, there are a lot of options out there for you, even if your credit isn’t great. Some cards will help you to build a better score over time. 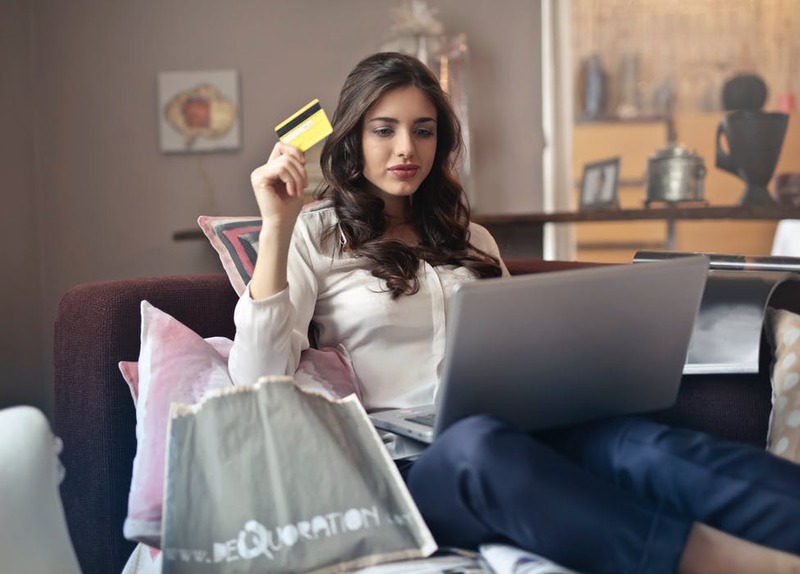 These can include student credit cards, which are for students just starting out with little to no credit, or secured credit cards, which are designed to help you build credit if you use the card responsibly. That basically means only using it for emergencies when you know you can pay it back, but they’ll help you get better credit over a long period. If you have a good credit score, you can usually find cards with a lower interest rate, or a higher purchase limit, which means you’ll have more money to spend and more time to pay it off. These cards are harder to come by when you don’t have good credit, but as long as you’re spending responsibly, you can work toward the score you want. Another important factor is your interest rate. If you don’t keep your card paid off every month, this is the additional percentage you’ll have to pay. Credit scores can drastically affect the interest rates you can get. But all hope is not lost, they may change change depending on how often you use your card or what you’re purchasing with it. If you’re interested, you can learn how your interest rate is calculated so that you can monitor it on your end as well. It’s important to know this percentage and be able to comfortably afford it in case you get a few months behind on your payments. This is usually the factor that causes people to end up drowning in debt, because they either overlooked it or were not able to keep up with it once they started falling behind on payments. Credit card scams usually use this to their advantage by promising 0% APR on a card, but that’s only for a certain amount of time. Once that time limit is up, you’ll have to pay back heavy interest on any purchases you made. That’s why it’s so important to find one that you can live with and make sure it’s legitimate. This shouldn’t be your most important factor for getting a credit card, as you should make sure it meets your other requirements first. Your credit score and preferred interest rate will drastically affect what kind of benefits you can get. However, being able to get cash back or reward points for traveling or other big purchases can really suit your specific lifestyle. Some websites are able to determine the card they think you’ll get the most benefit from based on these variables and how much they apply to you. For example, if you travel a lot for business or pleasure, then you can quickly start racking up miles on your credit card and points for hotels that you might book with the card. These points can be used to get discounted prices on flights, priority boarding, and various hotel perks such as free wifi or room service, all because you frequently travel. And it doesn’t have to be only you that travels. You can get different rewards if you take a lot of vacations or trips with friends, families, or a significant other too. On the other hand, cash back rewards will allow you to earn cash back based on your spending habits. For example, if you spend a lot of money at restaurants or you use your card to pay your bills, you can get a percentage of your spending back. Sometimes you even get rewarded for spending a certain amount of money on a purchase. If you spend a lot of time shopping online, you can get fraud monitoring on your card as well as a precaution.